Charming, Spacious, Bright, 2 Bedroom Apartment on the Ground Floor in West London. Ideal for a Family or a Group of Friends up to 4. Entire Ground Floor - 2 Spacious Double Bedrooms with Living Room, Bathroom, Kitchen and Garden for Guests. On-street Parking available at £5.00 per day. 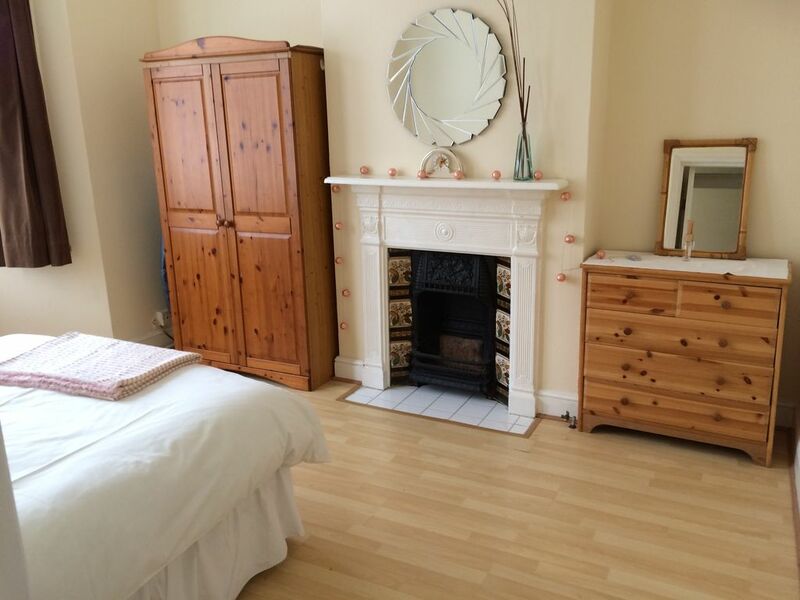 7-8 minute walk to North Acton Tube Station (Central Line, Zone 2/3) - 20 minute journey to Oxford Street. I am of Austrian origin though born and brought up in Manchester. I've lived in London for most of my adult life. I am a keen Angler and organise and participate in fishing competitions every week. I have travelled extensively with my family and have a good understanding of the needs of the traveller. I enjoy extending a warm and kind welcome to our guests and am happy to help with any useful information to help ease their trip. Bright, Spacious, Comfortable & Fully equipped for the needs of the traveller in mind. Conveniently located for Tourism & Business Convenience shops within 2 minute walking distance: McDonalds, Supermarkets, Pharmacy, Dry Cleaners, Fish & Chips, Japanese, Polish & Middle-eastern Take-Outs. Our host met us at the house and we were able to check in early which was great. The house was well kept. We had all the amenities needed. It was a nice quiet location. Our host was very helpful with transportation. Great value for the price. Very good value for your money. Charming host who can be reached easily and always ready to help. Close to central London. Lots of room for four people. Food shopping and takeaways available on foot within a few minutes. Thank you so much for your lovely review and I just wanted to say how much I appreciate you taking the time to give me feedback about your stay. You and your family were a delight to host and I wish you all the best. Loved it. Close to public transit, restaurants and convenience shops. Walter is a gracious host ensuring we were comfortable and taken care of. Definitely would book here again should our travels take us out this way again. Thank you so much for your lovely review and I just wanted to say how much I appreciate you taking the time to give me feedback about your stay. You and your family were a delight to host and I wish you all the best. huge plus was the yard and proximity to 2 different train lines to london city. Thank you so much for your kind and lovely review - we are glad to hear you found the apartment comfortable and convenient for your trip to London. We hope you take back fond memories of London with you. We really appreciate you taking time out to post your review and look forward to welcoming you back in the future. We loved this apartment. Our host, Walter, couldn't have been more thoughtful. Very handy location for buses to Hammersmith, fast trains to Heathrow and Paddington, and Central line underground to central London. Plenty of nearby shops for self-catering. Very well equipped kitchen, with so many thoughtful supplies. Quiet, clean and comfortable. Perfect for 2 couples. We would recommend highly, and would happily stay again. Thank you Walter. Loved the Apartment!! Clean, great location. First off the Owner met us on time, and was very nice. He showed us the place and it was just as described! My wife and son and I were very happy. Nice little back yard for privacy and had everything we needed. Would definitely rent again!! Thanks Walter for a Great stay! !